Regular air duct repair and cleaning are essential in keeping your HVAC system running efficiently and keeping the air quality in your home high. However, some homeowners fall victim to myths regarding air duct cleaning. This leads them to neglect their ducts, which only causes more problems. 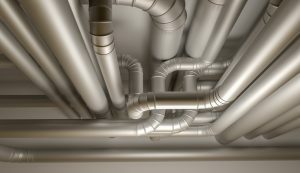 Because of that, this article is going to discuss a few myths regarding air duct repair and cleaning and why they aren’t true. Duct cleaning involves harsh chemicals. Even though it is valid to be concerned about your family’s safety, chemicals are not necessary when it comes to cleaning your ducts. Many professional duct cleaning companies have chemical-free alternatives that you can choose to be used. Non-chemical products clean the ducts and prevent problems like mold growth just as well as harsh chemical products do. Ducts don’t actually get dirty. While it would be nice if ducts remained clean, that is not the case. Not only do ducts collect dust, dirt, and pollen, but they can also become home to pests. So even though you may not need to have your ducts cleaned every month, they should be inspected on a regular basis in order to determine if and when they do need to be cleaned. Air ducts don’t impact air quality. Unfortunately, many people believe the condition of their ducts does not affect their air quality. But air ducts do in fact impact the quality of the air within a home. Because contaminants like pollen, dirt, and allergens enter a home through the ducts, the air quality in your home can absolutely decrease. Furthermore, dirty ducts can actually affect residents’ health. With poor air quality, residents may develop breathing troubles, headaches, and other health conditions. Ducts only get dirty when AC is used. Despite an air conditioning unit never being turned on, ducts still get dirty. It’s important to remember that any type of forced air systems moving air through the ducts will cause them to become dirty. Any ducts used for heat or ventilation will eventually get dirty, regardless if the air is hot or cool. Regular air duct repair and cleaning can improve your air quality and increase the efficiency of your HVAC unit. In fact, you should have your air ducts cleaned at least every three to five years in order to ensure maximum heating and cooling efficiency. So remember, air ducts are an important part of your home and should not be neglected.